The Dynamic City Foundation (DCF, 动态城市基金会) is a research and design institute focused on the rapid transformations of Asia's urban landscape. Spearheaded by Neville Mars, dedicated multi-disciplinary teams of urban researchers, social scientists, planners and architects engage in long-running projects that aim to provide better understanding and more effective planning tools for Asia's expanding cityscapes. The conceptual underpinning of DCF is based on the notion that urban growth as essentially evolutionary. 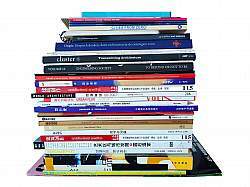 This concept is presented Mars' first book The Chinese Dream - a society under construction (010 Publishers, N. Mars and A. Hornsby, Rotterdam 2008). Since this publication the DCF team and MARS Architects have developed a number of sustainable urban plans for cities in China. For ten years The Dynamic City Foundation has been active in China operating within a unique open framework. Specializing in cross-scale research of green solutions for fast changing urban environments, the Dynamic City Foundation manifests its findings in a range of media form publications to buildings to large exhibitions, workshops and interventions. It dismantles long-term observations, spatial concepts, urban theory, and ideas along the same lines to create tangible proposals. DCF is future-focused, regarding Chinese cities as laboratories for global urban forces. DCF projects provide refreshing insights in an arena of flash urbanization and vast regional urban fields where still little knowledge is available. The objective to build four hundred new cities by the year 2020, as formulated by the former Chinese Minister of Civil Affairs, was the initial research framework. 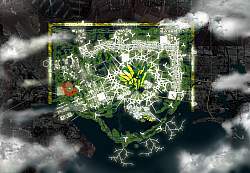 For the Shanghai World Expo 2010 the DCF wasinvited by the Dutch Government to present ongoing ecocity design strategies. In particular, the integrated vision for the new master plan for the city of Caofeidian in Hebei, for which DCF developed a radically new collaborative planning format. For the project 5 Dutch and 5 Chinese design firms were invited to work in relay, working one on top of the other to simulate the long-term evolution of this new ecocity of one millii people. See Planning by Mutation - From Generic to Genetic City. 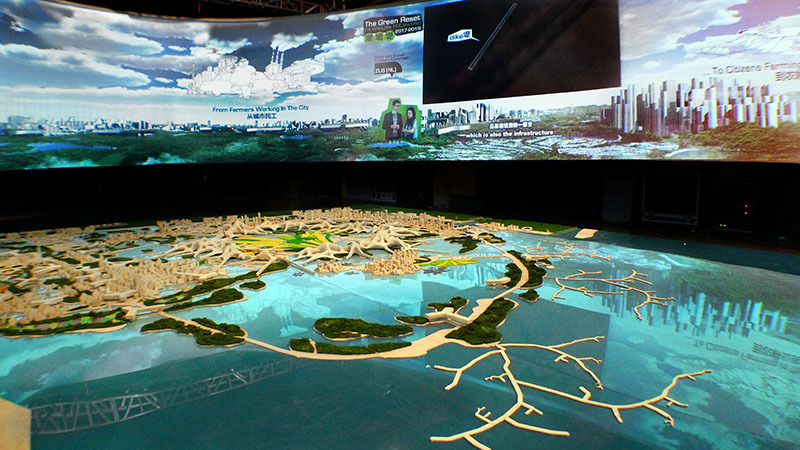 The DCF principles have been applied to various ecocity planning projects across China, including the new Sino-Dutch Ecocity in Shenzhen and a comprehensive future vision for Caofeidian Ecocity, presented at the Shanghai World Expo 2010. Mars was invited as the resident planner of the BMW Guggenheim Lab in Mumbai, for which he developed unique grassroots urban strategy based on a series of community level sustainable technologies, realized through engagements with local stakeholders. The first installation, the WATER BENCH, has been installed in parks across Mumbai. The work of Mars has been widely published and large-scale installations have been exhibited in biennials in Europe, Asia and America. Mars has presented his vision for a clean China in lectures the world over, from Harvard to the V&A and TED global-INK conference talk. Winter 2014, Mars will publish his second book Manifesto of Mistakes - urban solutions for the new world, a comprehensive ecocity design manual. Past DCF exhibitions have included: FREEZE, a futuristic Noah’s Ark of ideas that forces the observer to imagine the world as it is today, in terms of flow and movement, beyond physical and political boundaries; Neon Dream, an animated city on a blinding neon wall, surrounding The Chinese Knot, a beguiling mass of highways tangled about China's Forbidden City; the multimedia model Beijing Boom Tower, accommodating all Chinese society in a single megablock; the interactive installation Beijing Real Time, allowing users to play a strategic game with Beijing’s sprawl over a Ming Dynasty table, and Golden Inflation, a luminous landscape of solid gold rendered in the form of inflatable golden mountains, exploring the nature of commerce, dreams, and the ineffable. DCF also guest edited #35 of Urban China Magazine and published its own BURB Magazine, a publication from the future that documents urban, political, and cultural issues in the year 2020 with a cynical wink to China's present. BURB 2: expanding as fast as the city ~ 和城市发展的一样快! The speed of transformation demands a flexible and dynamic medium. This portal will publish the open-source research in annual installments or BURBs. 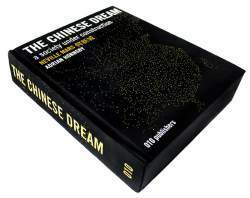 The first BURB - the Chinese Dream is just completed and here available. For 2007 our new BURB just opened for contributions Super Satellites, the research of China's mushrooming new towns, their design, success and problems. Can an entirely new city really be engineered successfully?